and global trade through E-commerce. trap, achieve sustainable growth and reduce income disparities. EECO, said at today’s MOU signing ceremony. The scope of the agreements is as described below. locally made and marketed products of each Thai tambon all over Thailand. 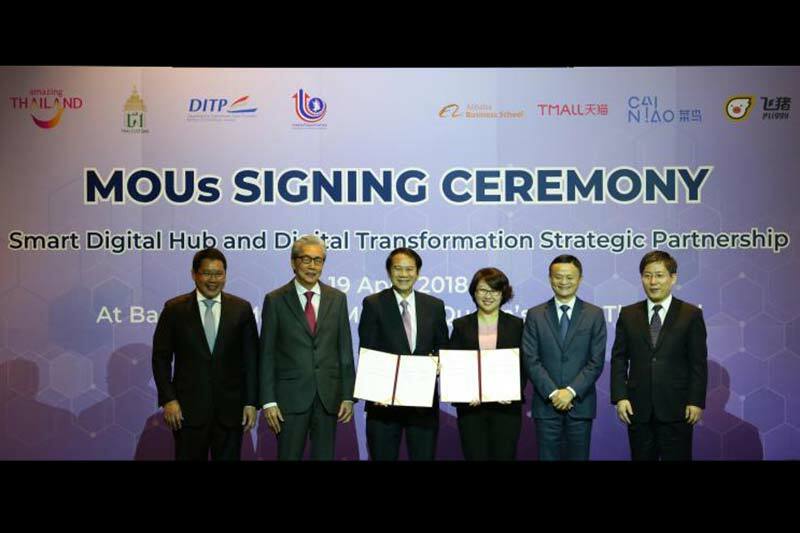 Digital Hub in EEC in this MOU. million) this year for the development of the Smart Digital Hub. Promotion of Thailand and the Alibaba Business School. farmers, SMEs and startups about new technologies and digital knowledge. a more rapid growth in the near future.